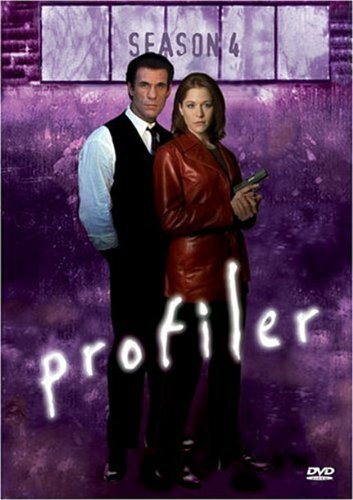 Profiler (Season Four) - BUY THIS DVD! This release presents season 4 of the popular crime show PROFILER in its entirety. Dr. Sam Waters (Ally Walker) works for the Violent Crimes Task Force, where she utilizes her psychic powers to help solve the unsolvable. The agency works in tandem with the FBI, and tracks a fearsome array of serial killers, assassins, arsonists, and various other deviants willing to wreak havoc on society. But Sam's special powers carry a weighty downside, most notably in the shape of the shadowy figure of Jack, the only former criminal that she can't identify. Jack brutally murdered Sam's husband many years previously, and remains a thorn in her side by frequently haunting her dreams and visions. Highly innovative, this is a compelling drama that has won over its audience due to strong character-driven storylines, a stylish look, and an original premise for the action to unfold from. [b]HOW TO WIN? SIMPLE. SEND IN YOUR NAME AND ADDRESS TO contests@efilmcritic.com. Put "HEY PROFILERS...PROFILE THIS!" in the subject line and cross your fingers. We will draw names it could be yours. Only 1 entry per household.